Researchers tout 10 to 50 times greater bandwidth with lower energy consumption by using light instead of electricity. University researchers are claiming a bandwidth breakthrough with the first light-based microprocessor that communicates with conventional electronic circuitry. While optical computing is hardly a new concept, researchers at University of Colorado-Boulder, Massachusetts Institute of Technology, and University of California, Berkeley claim to have made it work on a more practical level. 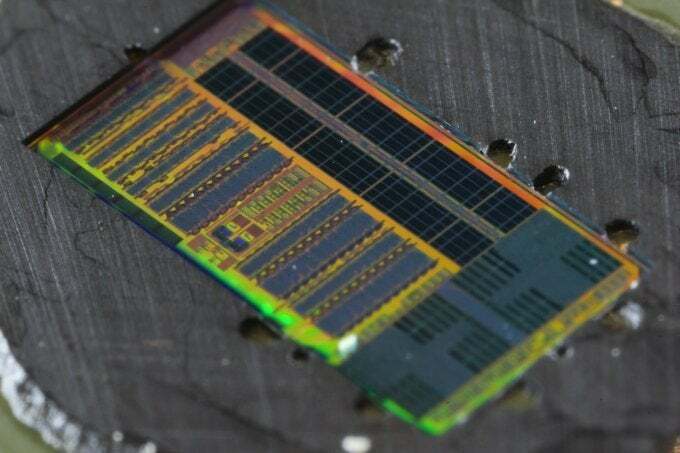 The photonic transmissions are built onto a single chip that also integrates traditional electronics, so it could in theory work with other standard electronic components and integrate into current manufacturing processes. 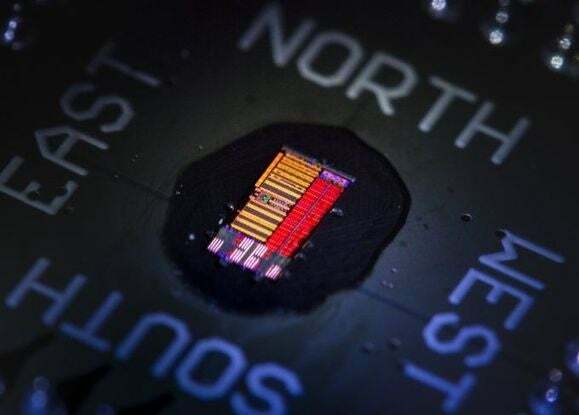 “It’s the first processor that can use light to communicate with the external world,” Vladimir Stojanović, the University of California professor who led the collaboration, said in a press release. "No other processor has photonic I/O in the chip." The big benefit of light-based computing is that it’s faster at transferring data within the space it’s given, with the new chip touting a density of 300 gigabits per second per square millimeter. That’s 10 to 50 times better than traditional electrical microprocessors. Light-based processors also promise to be more energy efficient, as they can transfer data over longer distances without using more power. The lab processor isn’t especially powerful, as it packs just two computing cores, but researchers are hoping it could be a boon for networking chips, and could pave the way for faster computing overall. As such, they’ve set up a pair of startups to help commercialize the technology. But like so many other exciting university research projects, the timeframe for seeing light-based processors in actual products is murky at best. Why this matters: Granted, CPU bandwidth is just one of many potential bottlenecks that computing systems can run into, and it always pays to be a bit skeptical of lab-based technological breakthroughs. But by slotting photonics into places where electronics would normally go, it sounds like the researchers are on a path faster networking with far lower energy consumption.